The White Frost collection by asa iceland is inspired by the fantastic glaciers of Iceland. 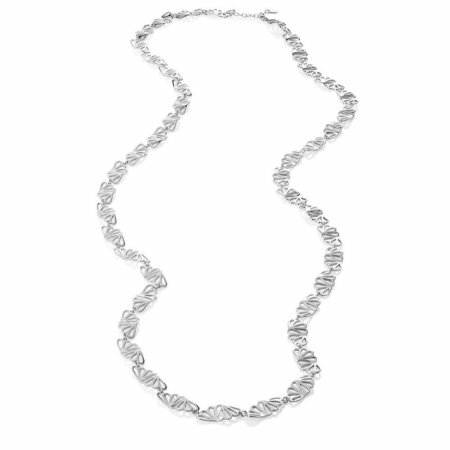 The clean lines of the long silver bars give this elegant necklace a modern feel. When you have an event that you know you will remember, you want to feel your best. When you wear the right jewellery you feel even more beautiful. More confident. More special. 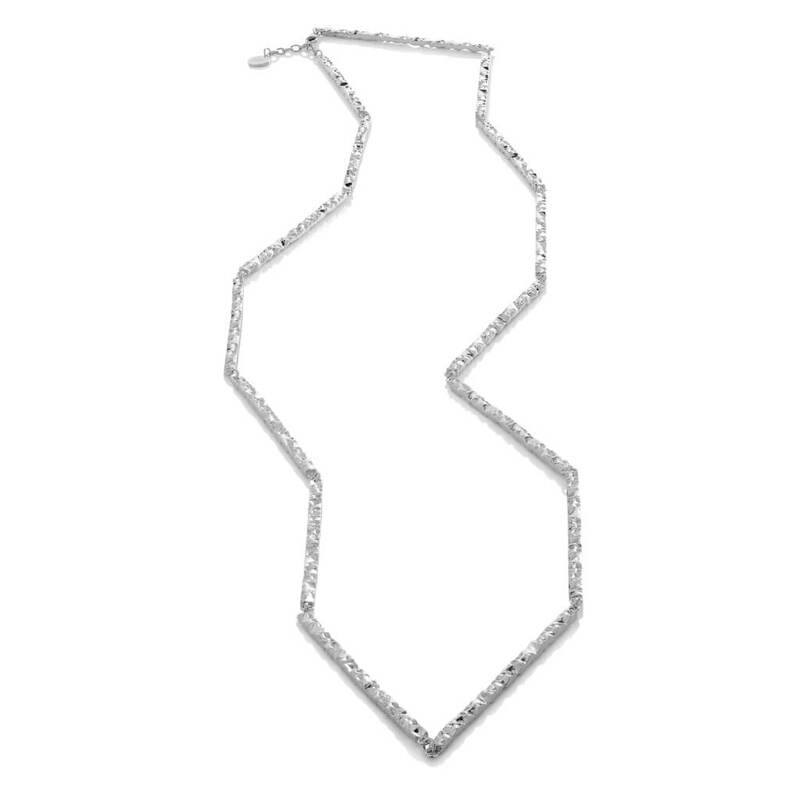 asa iceland’s signature long necklace from the White Frost collection is such a piece of art. Our unique design captures the sharpness and smoothness found in Northern Europe’s pristine nature. Only the strong can thrive in Scandinavian winter, and so it is with our aesthetic. It has undertones of a feminine strength, clarity and beauty. 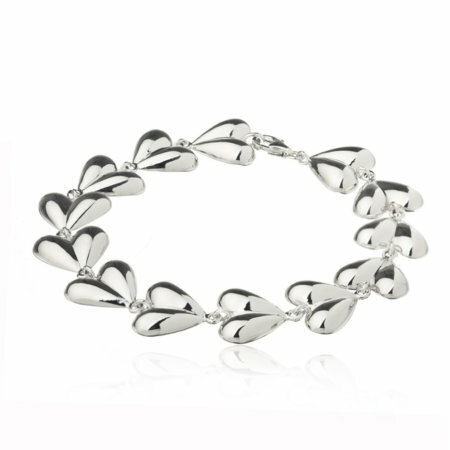 For special occasions, we like to wear this with our exquisite matching bracelet, ring and earrings. Just as winter’s beauty can take your breath away, this may have the same impact. 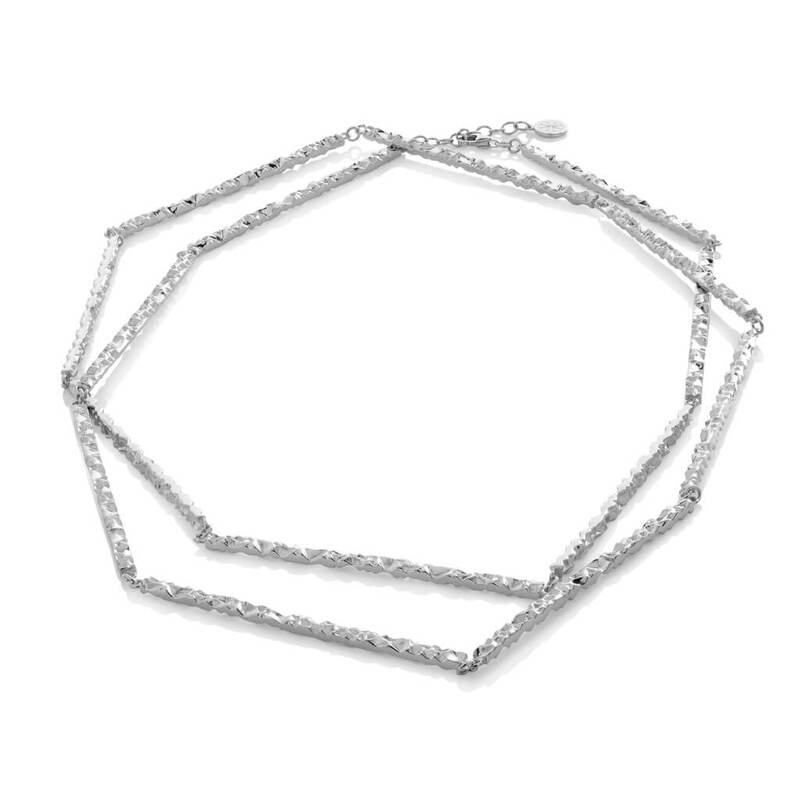 The White Frost collection by asa iceland is inspired by the fantastic glaciers of Iceland. 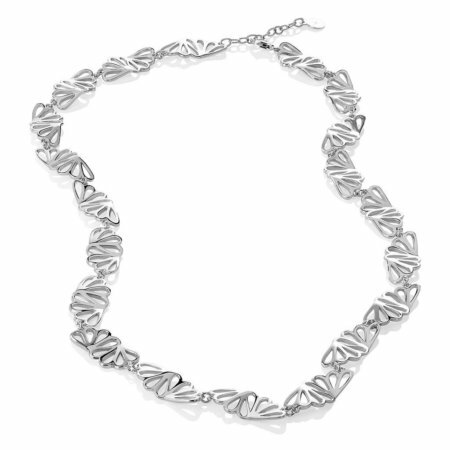 The clean lines of the long silver bars give this elegant necklace a modern feel. The light reflects beautifully in the exclusive White Frost pattern. 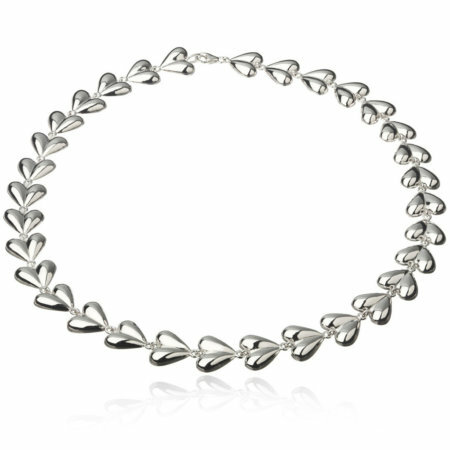 This necklace is also beautiful when worn double. 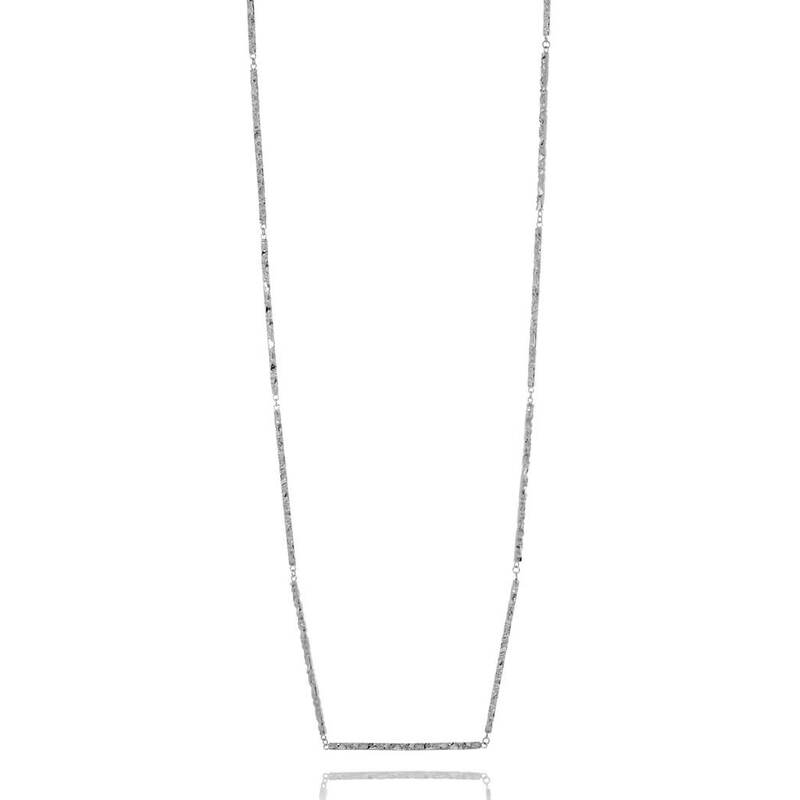 The White Frost necklace is made from Rhodium plated sterling.